The Twin Cities has so many unique bars, and I wanted to check out a retro gaming bar that has been drawing lots of traffic since it opened in 2017: Can Can Wonderland. 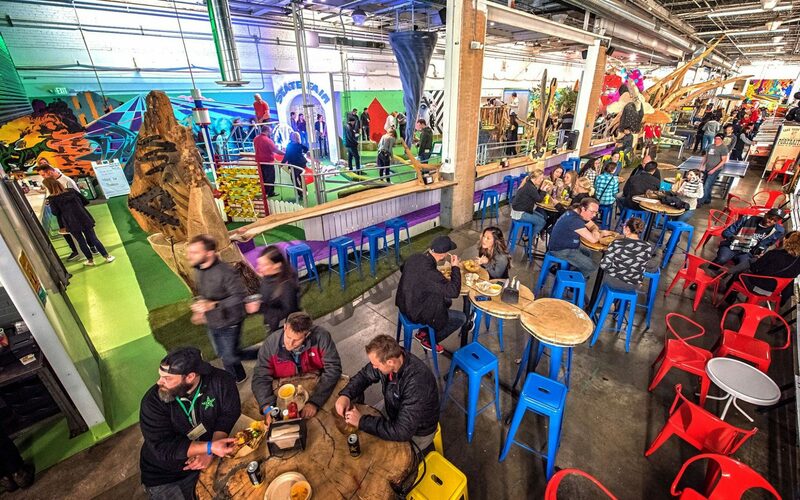 At first, you might not suspect that Can Can truly fits this category, but the arcade portion, which sits adjacent to its famous minigolf, has attracted the local Twin Cities crowd, similar to other retro gaming locations in the market. I wanted to delve deeper into the reason for this installation, especially because my first experience at Can Can Wonderland was not focused around gaming at all. I first spent some time at this bar for a birthday party about a year ago and thoroughly enjoyed the minigolf and the special cocktails the bar has to offer. When I walked in, I was surprised to see an entire section of old-school pinball and arcade machines. I was excited to try these out while we waited for our tee time, and it was this experience around which I centered my conversation with Jennifer Pennington, the CEO—or, as she prefers it, firecracker and ringleader—of Can Can Wonderland. Pennington decided to focus on pinball machines in this location because they are unique, rare, fun to look at, and, in her opinion, have some artistic value to the people who come into the bar. She prefers these machines as they tend to be more of an art installation that people can appreciate just by watching others engage in the experience of playing. However, the pinball machines are not the only draw to this locale. Games like Galactic Battleground also do well at Can Can Wonderland. Galactic Battleground is a locally developed arcade game that typically draws in a herd of fans looking to scratch their player-versus-player itch or get a taste of a nostalgic Galaga-like experience. The game is one of the more popular titles on the floor; Pennington typically notices a crowd around it, especially during periods of peak traffic at the bar. She knows her clientele enjoys these types of games and shared experiences and looks to curate similar experiences that many of her patrons will enjoy. 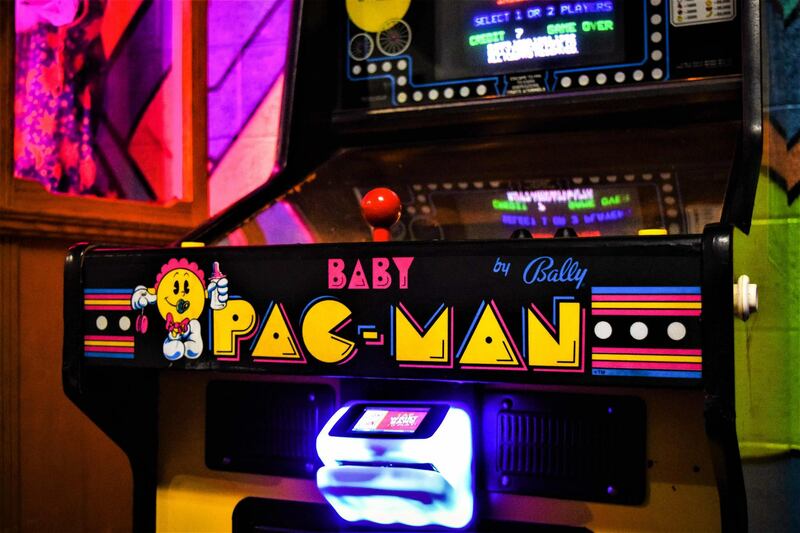 The nostalgia factor is a big draw for patrons looking for a retro gaming experience, and Pennington believes people enjoy arcade games and the mini golf experience that Can Can offers due to a specific desire to remember those fun experiences from childhood. She discussed how joyful experiences tend to trigger distinct memories, especially when you are enjoying that experience or sharing it with others. I tend to agree with this opinion, and it’s backed up with science. According to an article from Bustle, there are several reasons that nostalgia can change your brain or memory structure. The most poignant for me, and something I think is highly relevant for most Minnesotans, is the third: people tend to feel more nostalgia during periods of cold, as it can physically have a warming effect on your body. Who knows cold like Minnesotans in winter? Pennington has no plans of slowing down her development of the arcade space. She will continue to focus on pinball machines and plans to rotate new titles and games with the old. She highlighted a couple of newer titles that are on their way, including a golf-ball cannon game that allows you to shoot golf balls at different targets as well as an installation that I believe will get an unhealthy amount of interest: an experience called Caraoke by Donny Gettinger. This installation is a little old Pinto car that functions as a private karaoke room. People can sit and belt out their favorite tunes in the privacy of the car. I hope Can Can Wonderland is ready for this writer’s version of “Africa” by Toto. Trust me when I say my version is as epic as Dax and Kristen Bell’s. As we wrapped up our conversation, I reflected on the idea that the Twin Cities is really a unique market for retro gaming. I believe this is driven by a lot of different attributes, including a desire to have a shared experience and connect with one another, Minnesotans’ appreciation of the arts, and a unique combination of demographics highlighting the growth of younger people flocking to the Twin Cities. As an aside for those cosplayers out there: you’ll be excited to know that Can Can Wonderland has several geeky dress-up theme nights coming up, including a May the Fourth Star Wars party. Costumes are always encouraged at these themed nights. Feel free to check out their Facebook page for more information.